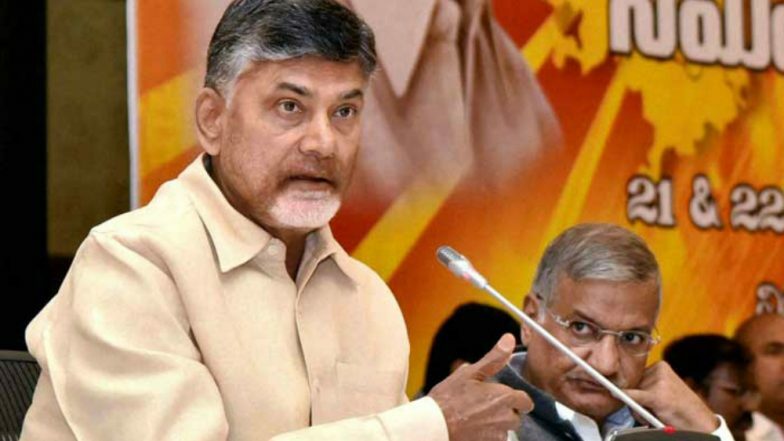 Vijayawada, April 11: Amid reports of EVM malfunctioning in parts of Andhra Pradesh, Chief Minister Chandrababu Naidu lashed out at the Election Commission, holding it squarely responsible for the hindrances being faced by the voters. According to Naidu, nearly 30 per cent of the electronic voting machines are not functioning across the state. Polling is being held in 25 Lok Sabha and 175 assembly seats of Andhra Pradesh today. Officials from the Election Commission claim that only 362 of the 45,000-odd EVMs turned dysfunctional, which were replaced immediately by the technical team. Andhra Records 30% Polling Till 12pm. However, Naidu, has contested the figures being quoted by the EC, saying that the magnitude of EVM malfunction is much larger. The Chief Minister has demanded re-polling in regions affected by the technical glitch. "The EC is responsible for this. I had petitioned them various times demanding polls to be conducted using ballot papers. At least now, they should consider the Opposition's plea," the TDP chief said. "Even technologically advanced countries are using ballot papers," he added. Naidu said 22 political parties in the country have demanded that at least the Voter Verifiable Paper Audit Trail (VVPAT) slips be counted. He did not agree with the Election Commission that counting of all VVPAT slips will take six days. The Supreme Court on Monday directed the EC to increase the random matching of VVPAT slips with EVMs to five polling booths per assembly segment, from one at present. The court, however, did not agree to the demand by the parties for matching at least 50 percent of VVPAT slips with EVMs. Naidu said they were planning to file a review petition for counting of at least 25 per cent of VVPAT slips.